Download our program and start to learn now!Get FREE ski instruction videos for mobile phones, iPhone, iPod, iPad,Google Android,Windows Mobile ! Learn to ski faster, easier and less expensively! If you have difficulties with the ski techniques, ski instructor or simply don’t know which ski video lessons to purchase, then our product “FUNSKIING – HOW TO SKI VIDEO” will solve your problems with the ski techniques on all levels: from beginners to masters. 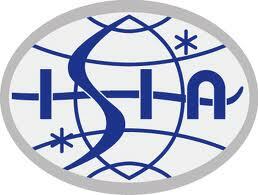 The programs is created by professional trainers of different formations, national teams and ski instructors, and aims to give more clarity of the different aspects of ski training. Since humans perceive 80% of the surroundings visually, we created this product and dare to say that it is better than any book and offers many advantages when compared to demonstrations and explanations, given even by the best ski instructors. FUNSKIING – HOW TO SKI VIDEO can be downloaded quickly, easily and non-expensively or you can purchase it as DVD and we will deliver it to you by the mail. STEP 1 – WATCH THE LESSONS AT HOME. It is a video material for beginners, advanced and masters, developed for faster and easier learning, illustrated with different graphic analyses and exercises that aim at giving everything necessary for building the ski technique. The picture material is also unique and analyzes the different elements with the help of graphics, which illustrate visually the methods of teaching and offer a greater picture of what is being learned. 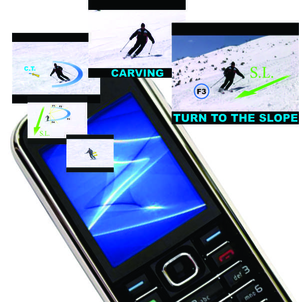 STEP 2 – PRACTICE ON THE SKI RUN, WATCHING YOUR MOBILE PHONE. After you get acquainted with the “HOW TO SKI VIDEO”, then follows the main part, i.e. the practice on the sin runs. That is why we developed files for the mobile phone, iPhone, iPod, iPad, smartphone and pocket PC, so that each skier can review the topics, analyses and exercises, while on the ski run. The purpose of this method is to take place of the ski instructor and to give the best idea how to do the exercises. Files for mobile phones are ONLY possible if you purchase one or all parts by downloading. 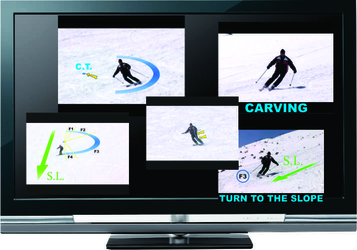 STEP 3 – YOUR SKI VIDEO ANALYSES AND INDIVIDUAL PROGRAM. Of course, not last is the individual approach to each skier. This is of great importance. If you film a brief video material, we will create a graphic ski video analyses of the most important aspects, will detect your errors and will give you directions for further advancement. Then it would be wise to load the ski video analyses on your mobile phone and watch it periodically, while skiing. WHAT IS THE USE OF "HOW TO SKI VIDEO"? 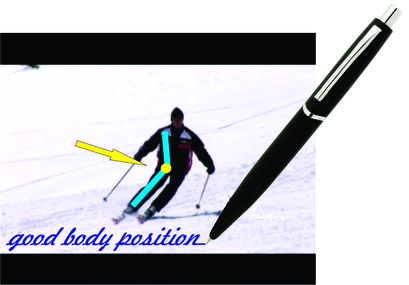 If the skier is motivated and is practicing, aided by the material on the "How to Ski Video", the chances of his reaching higher success in the learning and mastering of the ski techniques get increased. 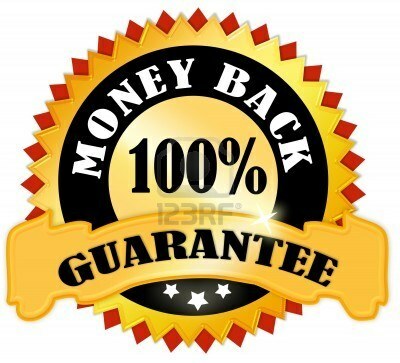 Each achieved success therein will continue to stimulate the learner in this respect, i.e. to move ahead towards the development of the alpine technique. This training will get the skier closer to nature, to the pure air of the mountain and its unbelievable beauty. WHAT IS THE EFFECT OF "HOW TO SKI VIDEO"? Motivation is the basis of each activity, regardless of its nature. This also applies to the "How-to-Ski Video". There isn't a skier who doesn't want to ski like Bode Miller or other known celebrities. Watching the pictorial material and its graphics, everyone will desire to attain a higher level in his skiing, because this sport possesses elegance and finesse that would motivate every skier, regardless whether he is a beginner or a master. WHOM FOR AND WHAT FOR IS INTENDED THE "HOW TO SKI VIDEO"? The ski video lessons are an aid and help visualize the method of ski learning. This program is appropriate for those that want to learn alone and to perfect their ski technique. They must be of age and be capable of deciding alone. We bear no responsibility for any accident of the self-learners, while on the ski runs. THAT IS WHY THE PROGRAM "HOW TO SKI VIDEO" IS ONE OF THE MOST USED, PRACTICAL, ACCESSIBLE AND AFFORDABLE METHODS FOR SELF-LEARNING AND SELF-PERFECTING OF THE SKI TECHNIQUE. Copyright howtoskivideo.com © 2011. All Rights Reserved.